Teal Blanket: Cozy and soft long velour on one side, softshell on the other. 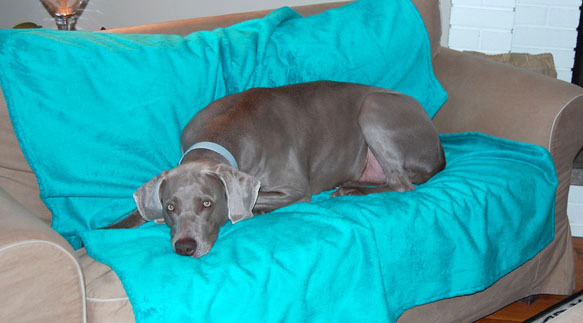 Protects your furniture, bed and car seats from dog hair, dirt and moisture. 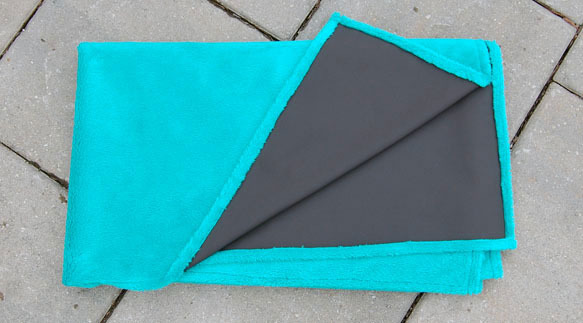 Perfect for over couches, chairs, beds and car seats. Now your dog or cat can curl up on your bed or couch without leaving their fur behind. Ideal for picnics, cottages or just to keep in your car for emergencies.